There's a lot of excitement about online, ad-supported access to TV programs (accessible on the TV networks' own sites or via Hulu), but a new study from ad manager FreeWheel being released this morning shows that in reality, short-form content and 3rd-party syndication are the workhorses of online video advertising. For the first time, FreeWheel breaks down its data by "Linear + Digital" content providers (i.e. TV networks like Fox, NBC, etc.) and Digital Pure-Play (online-only content providers or aggregators like VEVO, AOL, etc. that mainly focus on short-form content). FreeWheel found that video views grew 30% in Q1 '13 vs. a year earlier, driven by a 47% increase in views from DPPs, which offset a surprising decline of 8% by L+Ds. The data is based on 16 billion video views in Q1. For DPPs, 86.2% of their views are short-form video, under 5 minutes. Somewhat counter-intuitively, despite their long-form TV programs, L+Ds had an even higher percentage - 86.7% - of their views from short-form, with just 6% from long-form. DPPs rely heavily on syndication to drive their growth, with 84% of their videos views coming from 3rd-party sites. This compares with 25% for L+Ds, up from 17% a year ago. FreeWheel notes that L+Ds are still heavily focused on viewership growth through their own properties. As VideoNuze readers know, for years I've been writing about the power of syndication to drive online video usage. 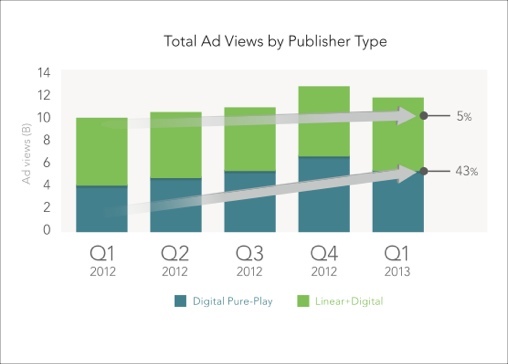 L+Ds and DPPs each account for about half of Q1's video ad views. However, DPPs' ad views are up 43% in the past year, while L+Ds' are up only 5%. Combined, this resulted in a 22% increase in ad views year-over-year. L+Ds' long-form content affords more ad insertion opportunities (pre, mid and post-rolls), while DPPs' short-form is mainly supported by pre-rolls. L+Ds have increased ads per long-form video to 9.5 in Q1, up from 7.4 a year ago, but essentially flat over the past 4 quarters. 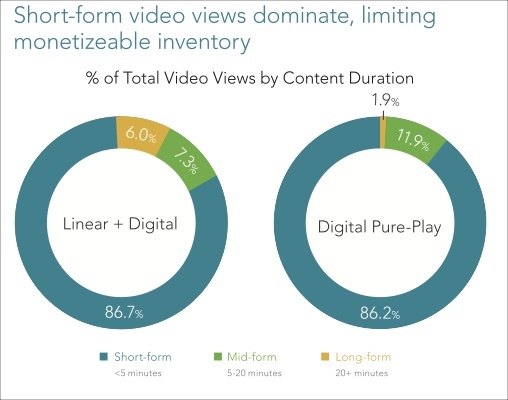 Yet over 48% of L+Ds' ad views come from short-form videos. L+Ds do a better job monetizing their short-form videos than do DPPs, with almost all L+D short-form videos having a pre-roll and only half of DPPs' having one. Also noteworthy is mobile and connected device growth. FreeWheel found that 19% of Q1's video views were off the desktop, up more than 6-fold from a year ago (3%). Further, Apple's iOS devices drove 70% of mobile/tablet views. FreeWheel notes that going forward, in order to attract demand from TV ad buyers, both L+Ds and DPPs need to optimize the mix of short, mid and long-form content, increase ad loads, and grow audience scale via syndication. One other thing I'd add is that for long-form volume to increase substantially and transiiton online video from a short-form medium, it is essential that TV Everywhere roll out at scale, which would unlock a ton of new long-form video ad inventory. 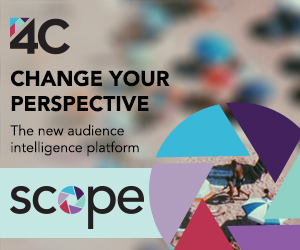 Note: If you want an immersive day of learning about online video advertising, join us on June 4th at the 3rd annual VideoNuze Online Video Ad Summit in NYC, featuring 44 speakers on over a dozen sessions. Learn more and register now!